HighGround are immensely proud of the backing we get from our supporters and volunteers. One of the ways anybody can get involved, and help the charity raise funds for all the services we provide, is to raise money by taking part in a sponsored event or challenge. That’s exactly what Katherine Pout is doing right now, by running an Ultra Marathon! Kat is just one of many of our supporters doing great things in order to raise awareness of the charity and ensure that it continues for many years to come. This summer, Kat was introduced to HighGround by Tim Eastwood, one of the charity’s Trustees, ‘We were on the same table at a wedding. We started to talk about running which led to fundraising for charities and High Ground.’ Kat was particularly interested in the Horticultural Therapy aspect of the charity. HighGround provides a Horticultural Therapy Service for the Defence Medical Rehabilitation Centre (DMRC) at Headly Court in Surrey. HighGround founder, Anna Baker Cresswell, brought Horticultural Therapy to the military in the UK in 2007 as part of another charity she started called Gardening Leave, and it is now being used by DMRC as part of their rehabilitation programme for injured soldiers, sailors and airmen. Since its inception in February 2014 the service has delivered thousands of Horticultural Therapy sessions to hundreds of patients at Headley Court. Kat has been a keen runner for some years now, and has taken part in some of the world’s great marathons including Berlin, Paris and, closer to home, the London Marathon, so she’s no stranger to the challenge posed by running long distances. However, she gladly admits this is by far the biggest challenge she’s undertaken so far, her first Ultra-Marathon, a 33 miles cross-country run in the middle of January…and she’s not looking forward to the cold! The Ultra-Marathon is being run on the Isle of Anglesey, which is situated in North West Wales, not far from the Snowdonia mountain range. 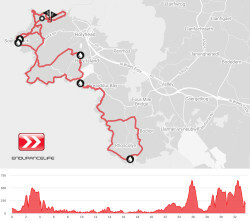 Much of the route is coastal with the terrain described as grass, rock, mud and road. Runners will climb to a height of just under 650ft during the run, so being physically prepared is essential. 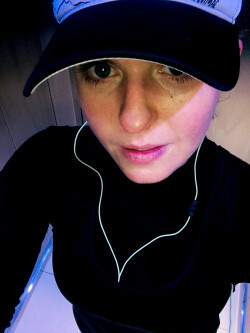 Kat has been following a training programme for several months now, and with just 7 weeks to go before the big day she’s stepping things up by running regular distances of 10 miles and more. Diet is also part of the programme, ‘I’ve cut out alcohol, and I’ll be increasing my protein intake during the next few week,’ she explains, ‘as well as sleeping more and drinking lots of water!’ As well as the Horticultural Therapy service, HighGround supports ex-Armed Forces personnel transition from military to civilian life by finding them job opportunities and training courses in the Land-based sector, such as in Agricultural Engineering or Tree Surgery. We provide support and ongoing assistance towards employment and fulfilment in civilian life beyond the military - outdoors. The Ultra-Marathon is scheduled to take place on January 13th, 2018. If you’d like to find out how you can help raise awareness and funds for the charity, take a look at our support page or visit Kat’s JustGiving page to donate. You can also keep up with Kat’s progress via social media, and why not send her a message of support.